Name the largest place in India where early humans used to reside. The largest place in India where early humans used to reside was Bhimbetka in Madhya Pradesh. It has the most fascinating cave paintings. 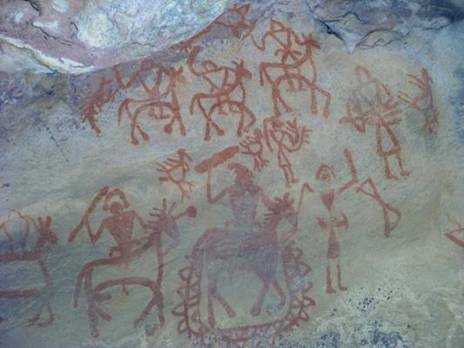 These cave paintings gave us insight into the lives of prehistoric people.